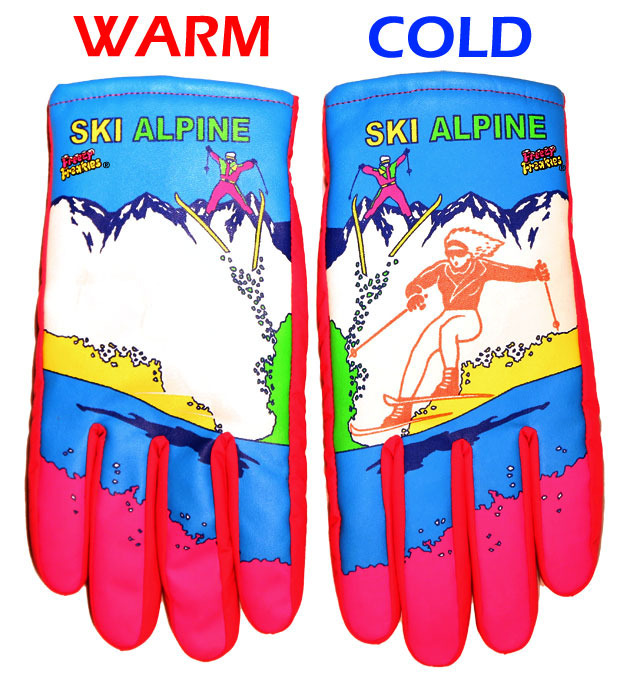 From the era of Michael Jackson, parachute pants and unbelievable permed hair came some wonderfully fun childrens’ gloves — Freezy Freakies. These inexpensive gloves had one feature that every kid could love — they changed color to reveal hidden designs when they got cold. The Freezy Freakies disappeared around the time I got my first email address and have been unseen since. Until now. Freezy Freakies are now fund raising on Kickstarter with what we’re guessing will be an easy goal of $10,000. Just a couple days into the campaign, they’ve already raised $3,500. The new version of the gloves has some modern touches: a soft microfleece lining and a warm Thinsulate mid-layer. Of course, they change color like the gloves of old using a fairly simple ink technology: “Thermochromic Ink.” The ink is transparent at room temperature, but turns colorful at cold temperatures. The new Freezy Freakies are offered in Unicorn, Turbo, SKi Alpine and Fighter Jet designs. This time around it’s even offered in adult sizes. We’ve yet to see these in person, but they look like fun although probably cheaply constructed. But for a modest investment of $29, a pair can be yours. 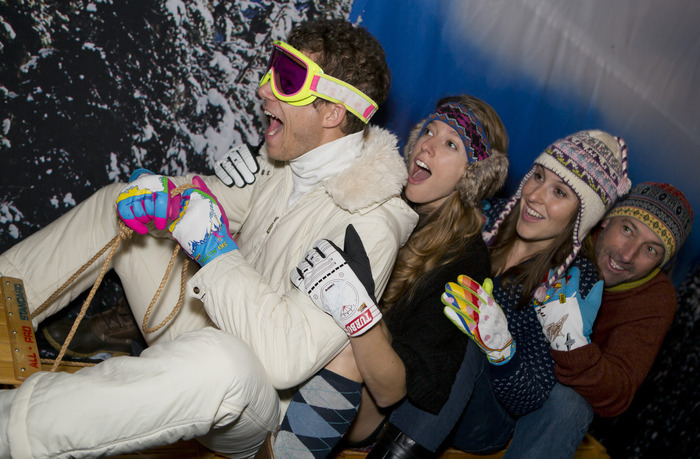 Just imagine how well they’ll go with your spring skiing 80’s costume complete with headband, skinny skis and neon onesie.